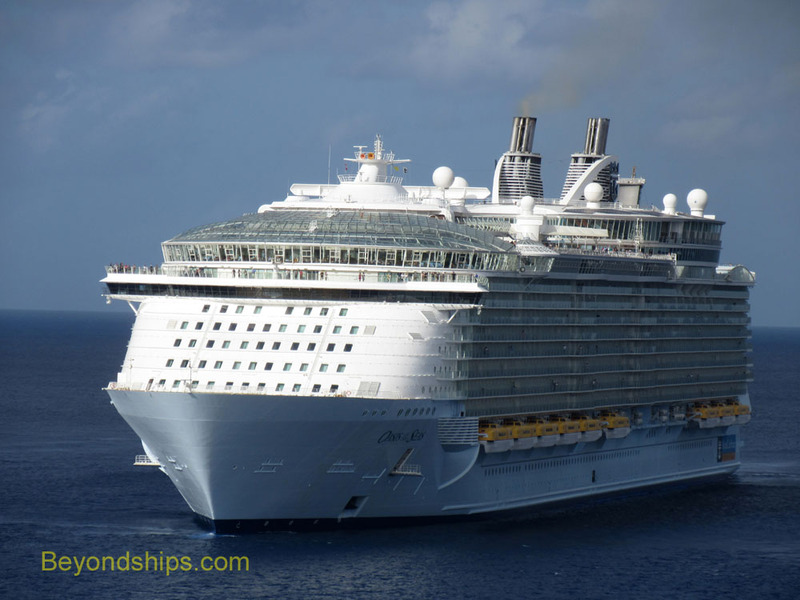 Oasis of the Seas does not usually call in Grand Cayman. However, the ship passes the island during cruises of the Western Caribbean. Therefore, when a medical emergency occurred aboard in Spring 2015, Oasis pulled into Grand Cayman to evacuate the passenger in question. In this video, we see Oasis arriving and executing a 180 degree turn before sailing off.